There are numerous ways to develop the brand and follow the strategies to grow your business. In this post, check out the five powerful marketing tips to build the strong reputation of your brand. It has become the crucial aspect of building the strong online presence of the small business. People are highly active on social media and it is important to target them on this effective channel through the personalized social media posts. You can study and analyze the interest and behavior patterns of the audience to rightly target them through paid ads. The number of searches on the mobile devices has increased significantly in the past few years. Thus you should target the audience for mobile devices through Accelerated Mobile Pages or Facebook Instant articles. It is also important to choose the responsive design or optimize the site for the mobile devices. This is helpful in ranking higher in the search engines according to mobile first indexing update. Investing in the mobile app technology is also not bad idea for user engagement and getting quick sales. A blog is a powerful tool to attract the audience and drive massive traffic to the site. It provides an opportunity to rank higher in the search engines for the search terms typed by the users. It is one of the effective ways to get the small business noticed amidst a large audience. A blog will help you to increase the visitors on site, increase leads and grow your brand. You should focus to provide the valuable information to the users and perform blogging to position yourself as a leading expert in the industry. Visual elements are preferred by everyone and they love sharing on social media channels. There is a rise of videos and small business should utilize video strategy in the content. In fact, it can create a YouTube channel and promote on the social media channels. It can feature the product demo or do personal interaction with the audience. The Facebook live video is also getting a lot of attention and effective in generating the user engagement. Infographics are helpful in attracting the audience, especially on social media. They are in fact a great source for increasing the follower base on the social media channels such as Instagram and Pinterest. These channels are popular in generating the quick leads or sales. It is one of the most important channels in generating the highest ROI for the marketers. Thus small business should not ignore the effectiveness of this channel to reap the numerous benefits. You can promote the offers, information about a new product launch or send the blog posts to create one to one engagement with the audience. In fact, it is the best way to generate the leads and nurture them in the sales cycle. 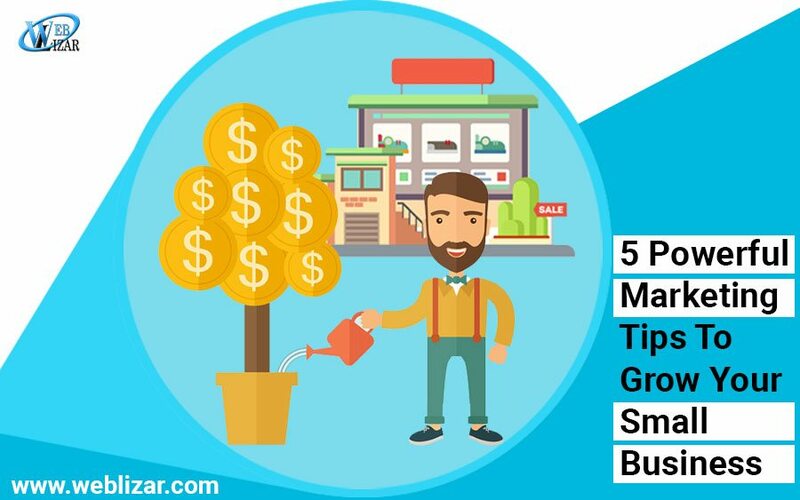 Follow the above mentioned powerful marketing tips to grow your brand and achieve the sustainable growth in your industry.